I took this photo passing a McDonald's. It just seemed so perfect. 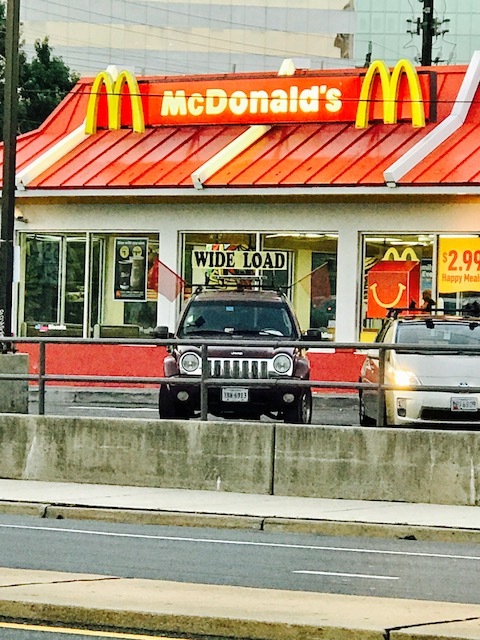 With this SUV parked right between the McDonald's arches. And in the McDonald's window is a smiley face and a $2.99 Happy Meal special. 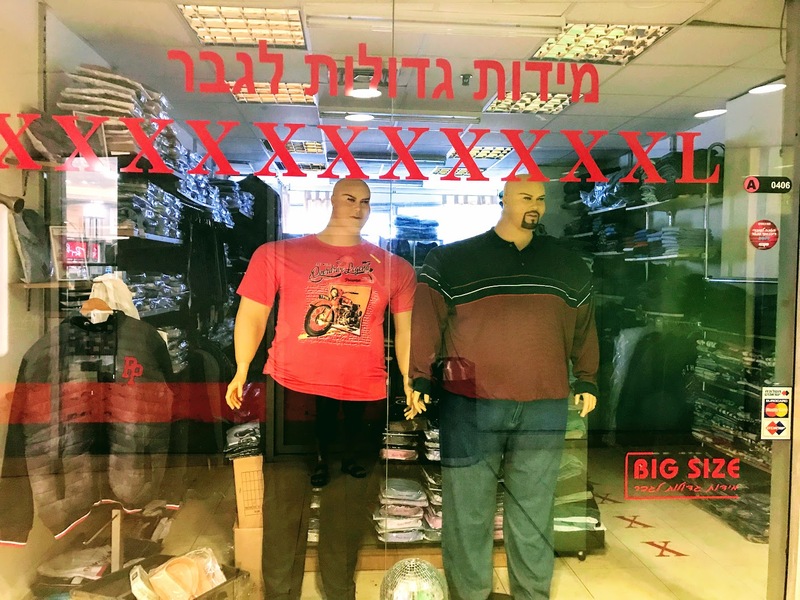 With the "fast food" unhealthy eating culture that McDonald's has so long represented, what is there really to smile about except the cheap fixings. 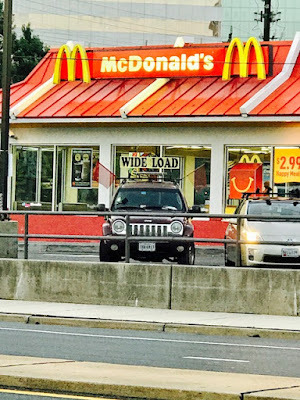 If you eat at McDonald's too much or too long then like Morgan Spurlock in the documentary "Super Size Me," who ate nothing but McDonald's for 30 days and gained almost 25 pounds and felt crappy...unfortunately the sign "Wide Load" may be descriptive of what can happen. This isn't a dig at McDonald's per se (there are many fast food joints and things that we know aren't necessarily good for us)...moderation in life is really key. Healthy eating, exercise, mindfulness, work-life balance, and generally taking good care of yourself is not just a nice to have, but important to our well-being. Pain Relief - SUPER SIZED! This was funny at CVS today. 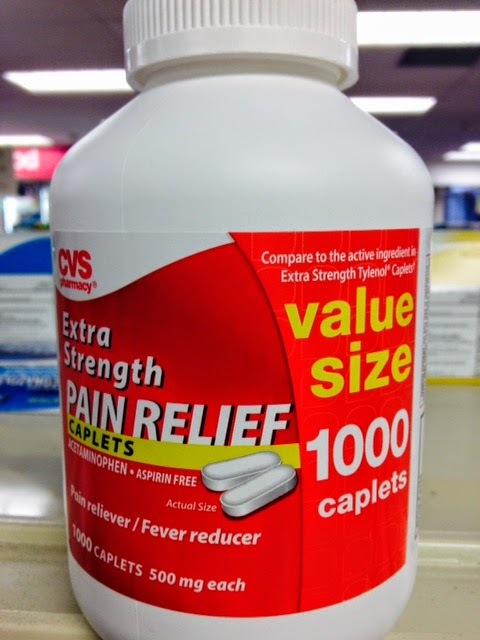 The "value size" extra strength Tylenol (equivalent)--1000 pills! It reminded me when I worked in the financial service industry in New York City. The Comptroller of the corporation has a mega size bottle of aspirin right on the front of his desk when you walked in. It was clear he was quite S~T~R~E~S~S~E~D out. 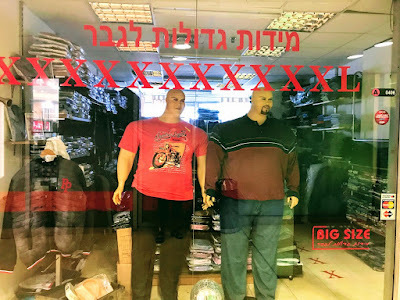 From a personal branding perspective (my wife is the expert at this), I would imagine that this is not the image you would want people to have of you all the time. Anyway, pain relief for some is a very big bottle of Tylenol and for others a nice bottle of wine or some time at the beach.